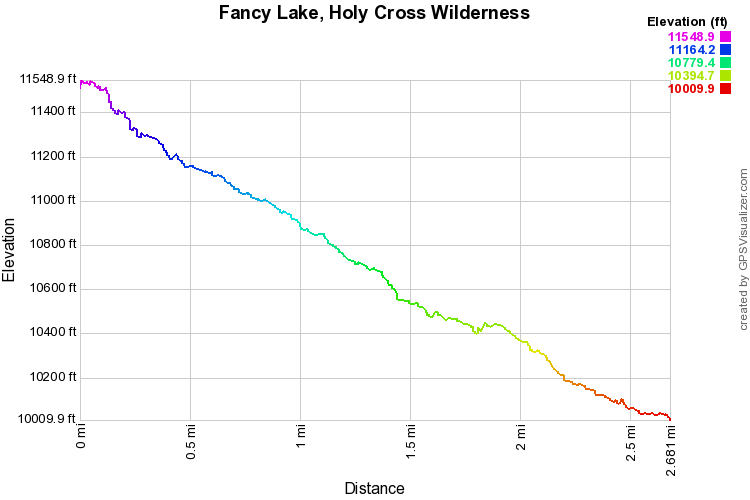 Fancy Lake sits in a basin in between the Missouri Lakes Basin and Holy Cross City/Hunky Dory Lake. 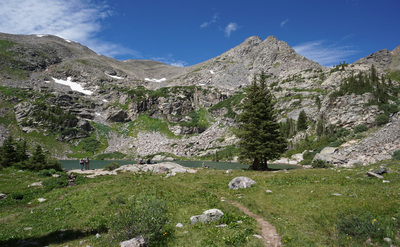 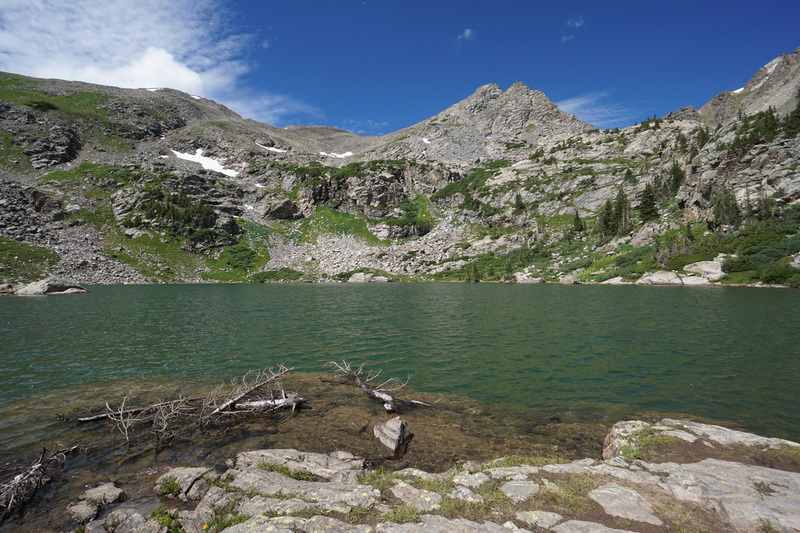 The basin is beautiful, the hike is steep, and the lake is pristine. The Lake has a number of terrific camping spots and is ripe for dayhiking and backpacking. 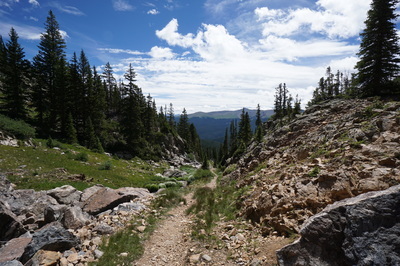 Continuing up to Fancy Pass is a tremendous experience and you can go even further to make a 9 mile loop with Missouri Pass just to the west. 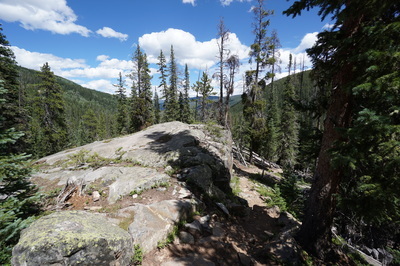 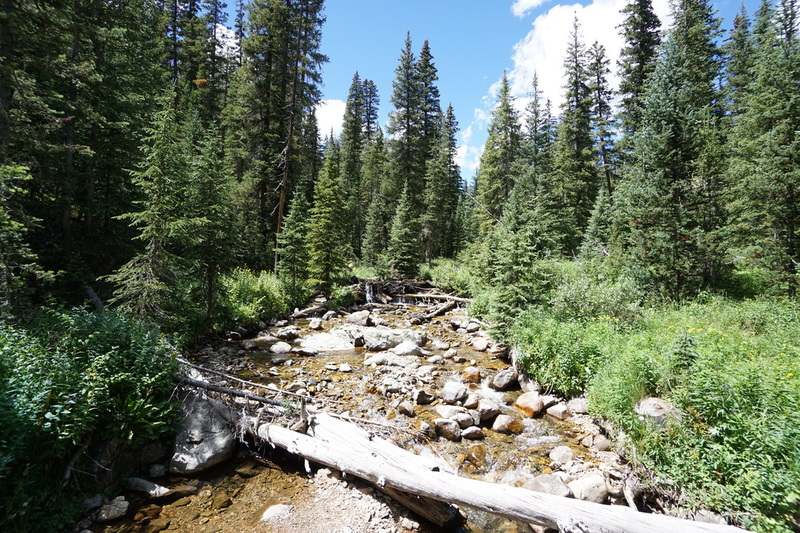 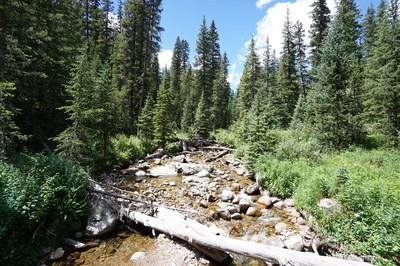 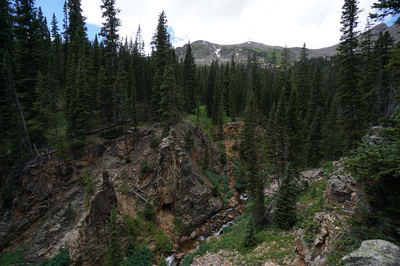 From the trailhead start climbing up through dense evergreen forest along wide switchbacks to a prominent outcropping and the wilderness boundary. 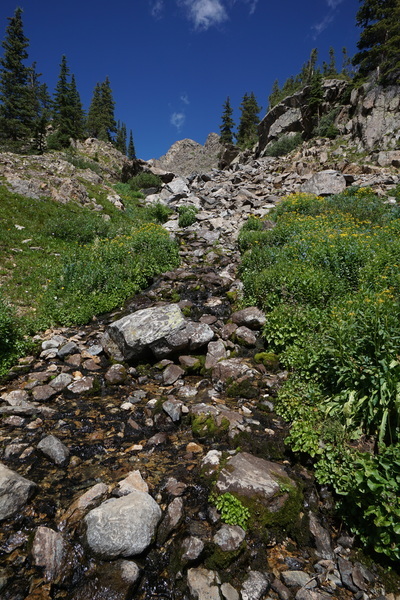 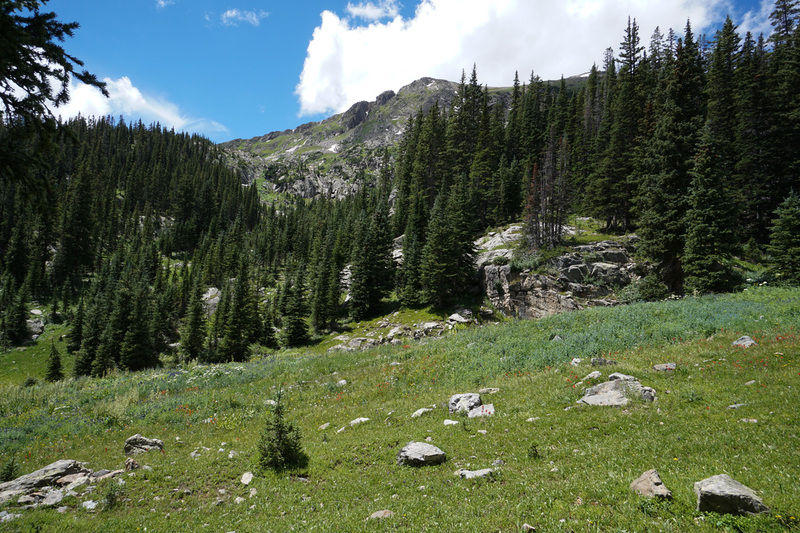 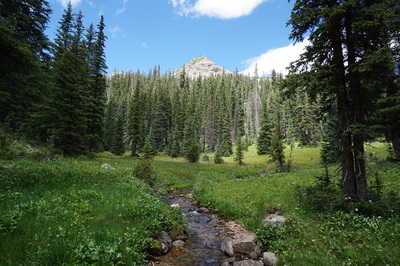 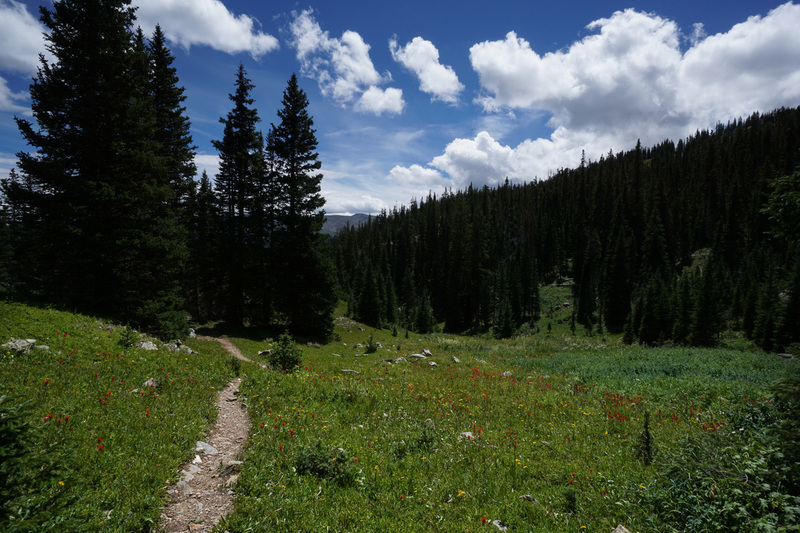 As you continue up, up, and up, you'll pass through various meadows with wildflowers and get a few peaks at the nearby peaks. 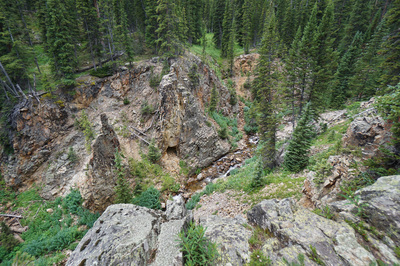 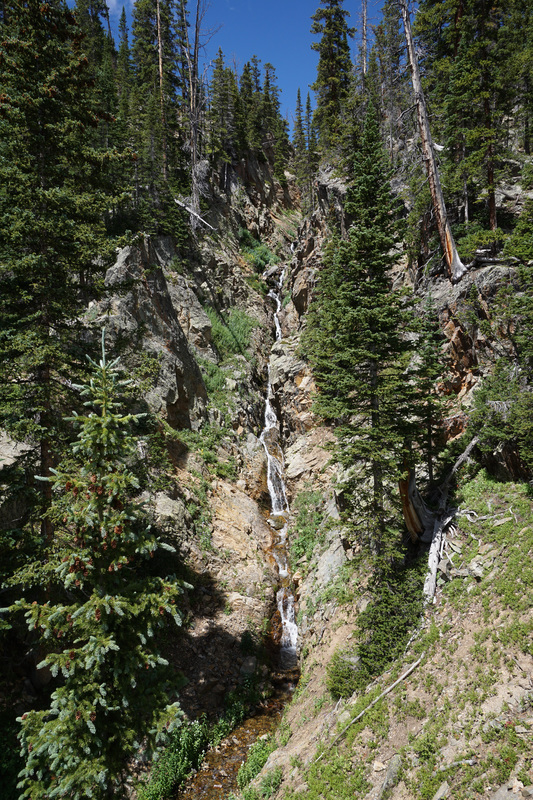 You're first major destination will be an awesome view of the creek cascading down a narrow, deep gorge. Continue hiking along the gorge all the way to the Fancy Lake campsites. Cross the head of the gorge and you'll see the shore of the emerald green lake. 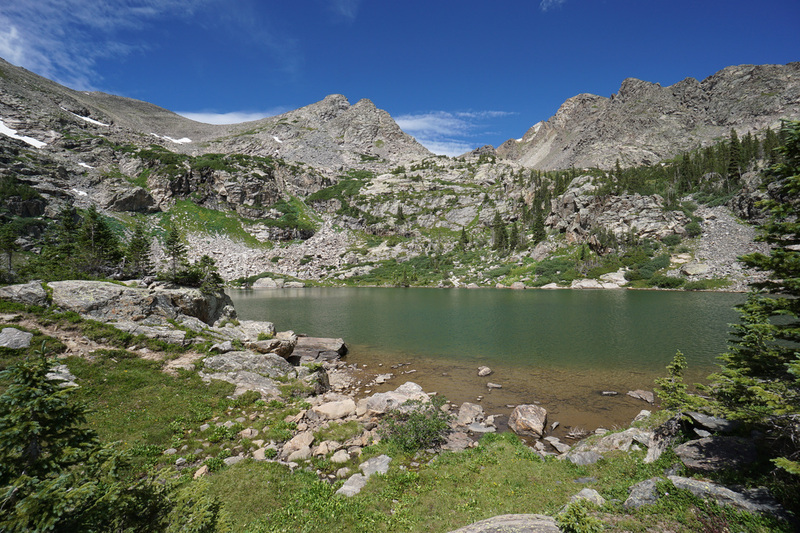 There are plenty of wide rocks to rest on and take in the lake's beauty. 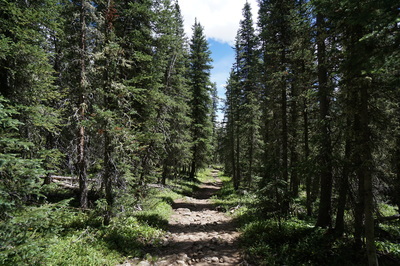 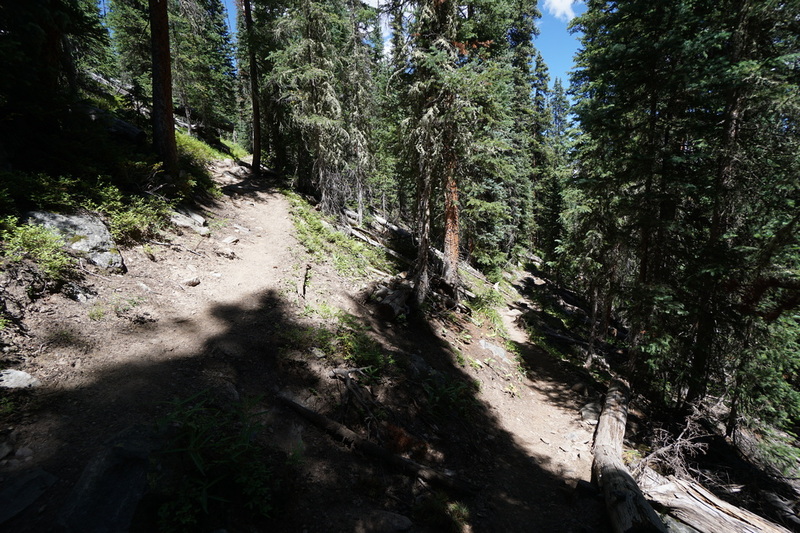 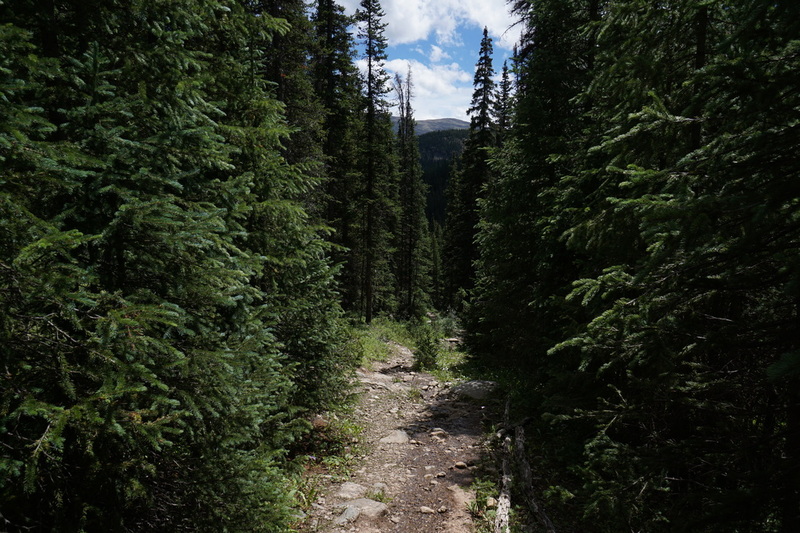 If you have it in you, head to the north of the lake to find the trail leading up to Fancy Pass. 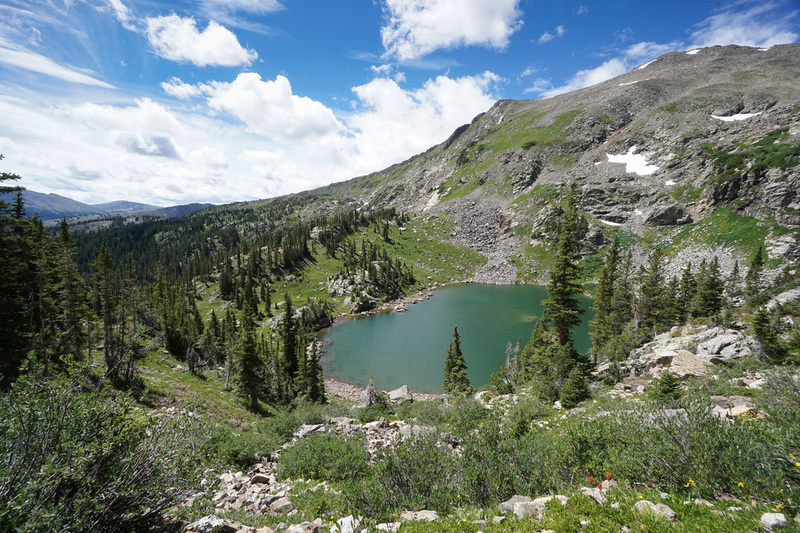 Even if you don't go all the way to the pass there are great views looking down on Fancy Lake and the surrounding landscape.